Adage specialized in graphics workstations that worked with host computers such as DEC or IBM. The company was founded in 1957 as a manufacturer of analog-to-digital and digital-to-analog converters. In 1967, Adage focused solely on computer graphics systems. Its AGT series, introduced in 1968, claimed to be the first to offer three-dimensional graphics using hybrid analog array. The company entered the IBM market in 1976 with the GT/2250 Vector Graphics Workstation, which emulated the IBM 2250 Graphics Terminal. The Adage 4000 series with followed two years later. 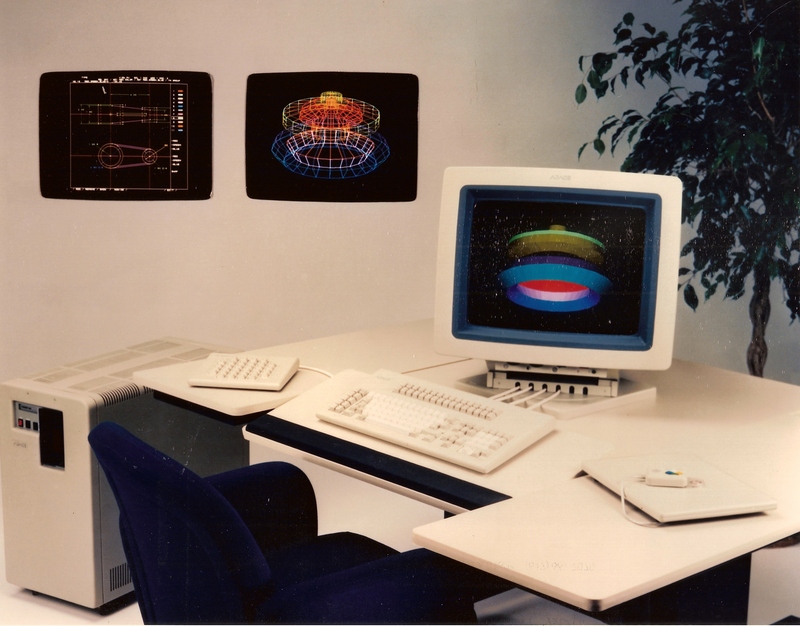 The 6000 series workstations appeared in early 1985, and they featured Adage’s proprietary OCEAN graphics engine. In 1989, Adage merged with Multiflow Computer and ceased operating under the Adage name.